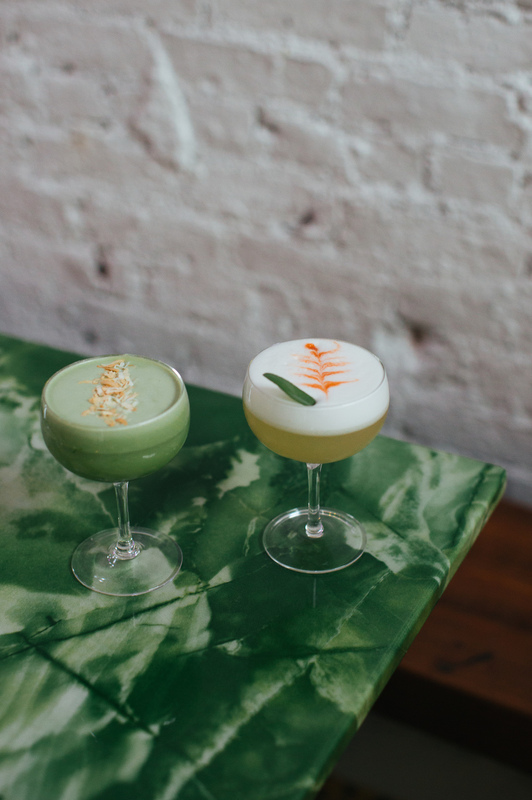 Pokito, the brainchild of four local Brooklyn creatives - including hospitality legacy, Alex Kleinberg - opened in Williamsburg just last year. Pulling inspiration from their combined Latin and Asian heritage, and paying tribute to the restaurant's Dominican neighborhood, this small and friendly joint offers delicious food and drinks amid a hip backdrop and spirited community. and Asian fusion influences. The menu is brief, featuring less than a dozen items. It is both impressive and unafraid to experiment. Whether you're looking for great food, an original cocktail, or even a beer shot, Pokito does it all - and does it well. How did you come to own Pokito, and how long have you guys been open? Pokito is a genuine fusion of Latin and Asian cultures; everything from Japanese and Thai to Dominican and Mexican. Me being Latino and (co-owner) Jisho being Asian, we took what we knew and loved about the food from our native lands and brought it to a menu in our neighborhood. I found the space because I opened Summers next door and developed a good relationship with my landlord. We have been open about 8 months, and so far so good. Pokito's vibe is really unique. Everything from your patterned floors to the friendly staff has a lot of character. How would you describe the restaurant to somebody who has not visited yet? It started with a bunch of Pratt Institute kids and a restaurant guy (me, Alex) coming up with a place we all want to hang out, eat, and drink awesome cocktails at. In the heart of South Williamsburg, it's laid back, tropical inspired, and minimal with colorful LED lighting, funky Asian decor, lots of plants, and cool/worldly electronic music. We also take pride in house-made, sustainable, and organic ingredients, from the fish to the veggies to the dough and masa we use for empanadas and tortillas. We stand out because we are honest about what we are doing and who we are. We have the Dominican and Latino locals coming in for empanadas and yuca fries, and we also have the new-to-the-hood hipsters and yoga ladies coming in for the same plus healthy rice bowls, tacos, etc. We just keep doing things with genuineness and love, and I know people will feel that. Do you think its a contributing characteristic of Pokito's brand that you are in Brooklyn? Is this an important factor in the overall story of your restaurant? And if it's a huge success, do you want to open more locations? I was born and raised in Brooklyn / NYC / Dominican Republic. I've been here for the past 11 years, and I never plan on leaving. I hope to open many more places and different concepts for the next 10 years or so, until I can move to an island in the Caribbean where I can surf and fish everyday. Brooklyn is my home-base and always will be - same goes for my restaurants, bars, brands, and whatever else I do. You've had friends contribute to the space's lighting, artwork selection, menu development, etc. Do you think this was a conscious decision to make Pokito a really collaborative place, involving others creatives from the community into the mix? Or do you just happen to know a lot of talented folks who could tackle these elements of the interior? I want Pokito to be collaborative. And I want to collaborate. That is what makes a place more than just whatever. I am also lucky to know lots of creative people, so being the art director that I am, I use what I have to my advantage. I am resourceful. Most people may not know that your family is in the food industry. Are you significantly influenced by your dad's restaurant (Clinton Street Baking Co.)? How about your time owning Summers; Does your experience there overlap with how you run Pokito? My parents have been molding me into the restaurant guy that I am today since I was 13. 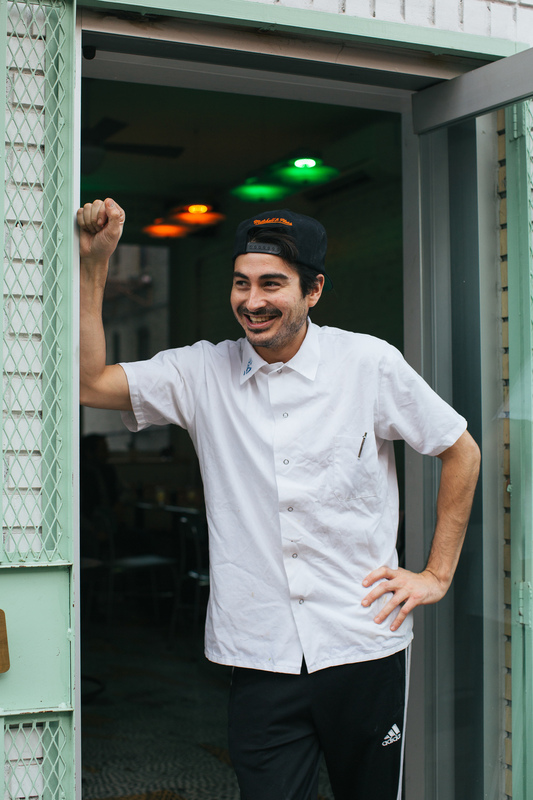 I started bussing tables at Clinton Street Baking Co. 14 years ago. I've seen them grow from a small bakery to a world renowned brand and restaurant. From Tokyo to Singapore, they have more than 14 locations worldwide, and soon plan on expanding with 12 more. I've seen them start from nothing and with that same persistence I plan on running my own brands. Where do you get most of your produce? We use local farms, as well as producers of cheese, milk, eggs, etc. We support all local! What motivates you in your personal life? What do you like to do when you're off the clock? I surf, play basketball, eat lots of food from everywhere, and travel. But ultimately my goal is to share with the world the food and style of my cultures, and the place I live and represent.